The best choice for the most genuine and alternative holidays. Castelli Cottage and Castelli Olive Press are two independent traditional 150 years old stone houses: the one was the main house and the other was the small family olive press and auxiliary house. Nowadays, the buildings are completely restored and fully renovated (using traditional building methods and maintaining the old massive stone), turned into comfortable and charming houses and integrated into the modern way of life. Our love for our ancestors’ heritage and our childhood memories inspired us to embrace the houses with respect and special care, giving them the genuine Corfu feeling. 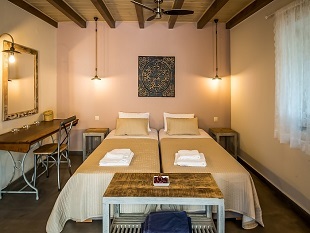 The guesthouses are situated in a fully green and unspoiled environment, at the north hillsides of mount Pantokratoras, in a very small village called Fourni, 10 minutes distance from the nearest town of Acharavi and about 40 km. 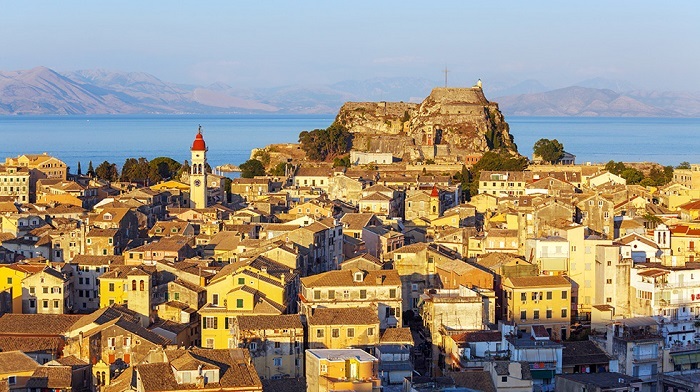 away from Corfu town, port and airport. 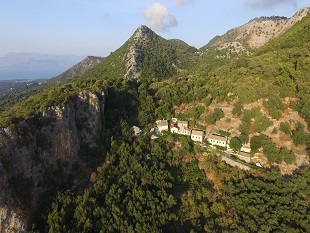 The site breathes out an atmospheric quiet and tranquility, among centenarian olive trees and cypresses, with a spectacular view to the northern coast of the island and to the off-coast island of Othoni, the northwestern frontier of Greece. The sunset from the property is extraordinary! 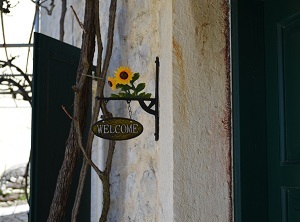 That is why Castelli Cottage and Castelli Olive Press are ideal for those who seek quiet vacations with family and friends.